The goal of any business should be to learn as much as possible about its customers, and then offer them an experience that is tailored to their unique needs. Customers benefit the greatest when the loyalty program uses data collected to improve their experience with a brand in a meaningful way. Fitness First discovered this with its own loyalty program, where the discounts and membership benefits that it was offering were rarely made use of, but benefits that were tied to the member’s use of the club were popular. As a result, Fitness First shelved its loyalty program to develop something more data driven. The other benefit to approaching loyalty from a data point of view is that it opens up additional streams of revenue, once the data reaches a significant enough size. For example, Woolworths has been able to sell the de-identified data that it has collected through its loyalty program to third parties, as well as using the data to assist with sales initiatives in other parts of the business group, such as its insurance company. By knowing your customers better, you can increase customer loyalty by creating exceptional customer experiences. Don’t just create another vanilla customer loyalty program. Learn what it takes to build your organisation around providing exceptional customer experiences. Build loyalty by wowing your customers. 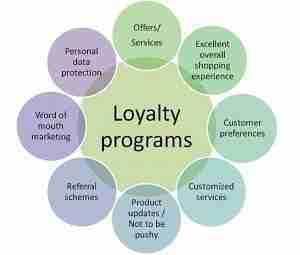 Less than half of consumers feel their loyalty program offers them ‘good benefits’. Businesses often focus too much on maximising returns and forget about the customer, writes James Forbes. He suggests three key pointers that could help gather critical data to maximise results without compromising customer engagement and still generating interest. Consider these the key pointers when thinking about loyalty programs to generate more interest and engagement amongst your customers, while at the same time gathering critical data to ensure the loyalty program is generating maximum returns to the business. The ability to collect customer data is a core benefit of any loyalty program. Typical data could include what the customer purchased, as well as the location and frequency of purchase. Over time the data you hold will detail the preferences of individual customers, what kinds of promotions they are likely to respond to, even what days they prefer to shop. Building such a rich customer profile will support the tailoring marketing of messages, both in-store and through other channels such as email. Starbucks in the US is famous for doing just this, showing that even coffee houses can graduate beyond paper loyalty cards. You can obtain a lot of information by properly linking the loyalty program with your POS system to track purchasing habits, which many retailers are not currently doing, and then wondering why the card is not being used. One of the reasons that the ‘buy ten, get one free’ card works for cafés is that people may well stop by daily, and so every two weeks they’ll get a free coffee. However it is unlikely that this approach would work for say a car dealership. To get value from a loyalty program businesses need to drive frequent and habitual usage, and provide benefits for both the customer and the organisation. As obvious as that sounds, it’s a message that’s often lost, with rewards accruing too slowly or benefits being of limited value to be of interest to the customer (which is what happened to Fitness First). Program benefits don’t have to be monetary rewards or discounts, often membership perks are preferable. Airlines are perhaps the best example of this. International airlines like to reward their frequent flyers, not only with cheaper flights, but access to a deluxe lounge with showers, free food and coffee, and comfortable seats to relax in on stopovers or prior to a flight. For the regular traveller who has accrued enough points to access it, it’s the lounge access pass that is the strongest incentive to remain loyal to one airline. Too many organisations launch a loyalty program, and then fail to do anything with the data that they’ve collected. There are some great case studies about overseas supermarkets such as Tesco and Sainsbury’s in the UK using their loyalty program to determine everything from what products to stock, right through to using the data to offer a free TV and movie service where customers view targeted ads in exchange for signing up. In the end, it’s that investment into analytics that determines the success of a loyalty card. Success comes when the organisation draws meaningful insights from the analytics, which they then use to offer customers compelling products and services.